Mr Barack Obama makes history on Friday (May 27) when he becomes the first sitting US President to visit the Japanese city of Hiroshima, where the United States dropped the world's first atomic bomb in 1945. Both the US and Japanese governments hope Mr Obama's visit will highlight a new level of reconciliation and closer ties between the two nations which fought four years of searing, brutal conflict across the Pacific during World War II. But the visit has inevitably stirred debate over whether the US decision to bomb Hiroshima, followed by Nagasaki, was justified and whether Mr Obama should apologise to Japan. Here's what you should know about the bombings and the positions of both sides. On Aug 6, 1945, at 8.15am Japan time, US B-29 bomber plane Enola Gay dropped an atomic bomb on Hiroshima. The bomb exploded at a height of about 457m, generating a massive fireball and blast wave that levelled the entire city, killing tens of thousands of people instantly. Many more succumbed to injuries or illnesses caused by radiation in the weeks, months and years afterward. In all, some 140,000 people died. Three days later on Aug 9, another US plane Bockscar dropped a second atomic bomb on Nagasaki. At least 74,000 people died in the blast or from subsequent injuries. On Aug 17, Japan's Emperor Hirohito surrendered, bringing an end to World War II. 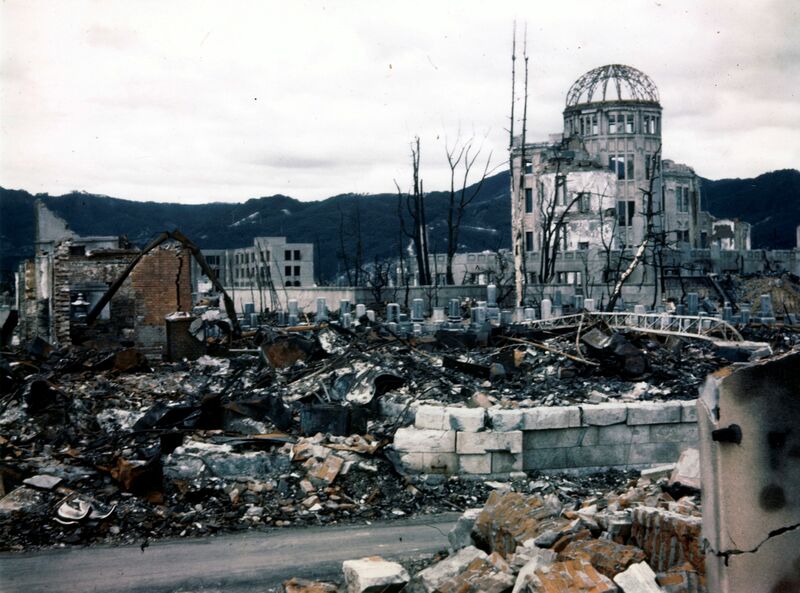 Vast swaths of Hiroshima and Nagasaki, including many military and industrial installations, were obliterated. Most structures disappeared, with only the strongest brick and steel buildings partially spared, seemingly at random. 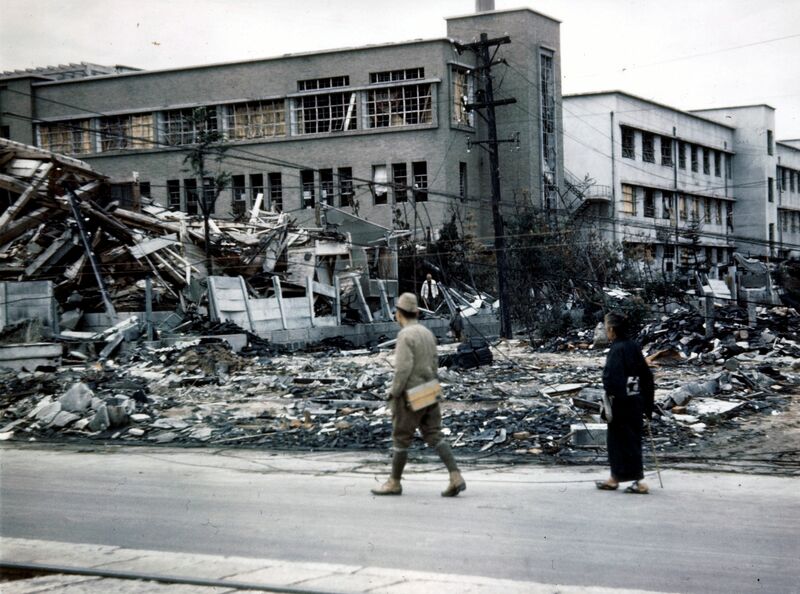 While most of the victims in Hiroshima and Nagasaki were Japanese civilians, the Association of Korean Atomic Bomb Victims estimates that between 40,000 and 70,000 Koreans died in the bombings. They were in the cities against their will as forced labourers, or had settled there after fleeing deprivation in their occupied homeland. Why did the US bomb the Japanese cities? The late US President Harry Truman, who gave the go-ahead for the bombings, said at the time that the decision was necessary to force Japan's surrender and end the war. 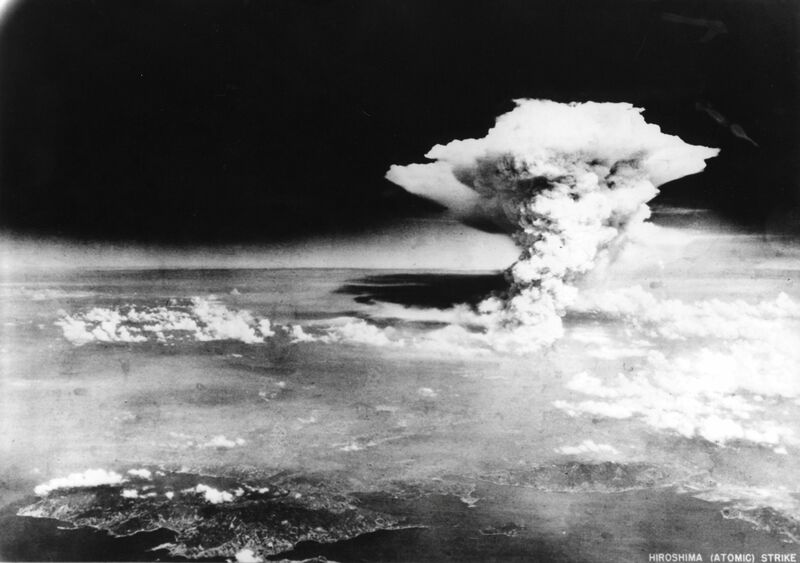 After the Hiroshima bombing, Mr Truman reportedly said if Japan did not accept the terms of surrender, "they may expect a rain of ruin from the air, the like of which has never been seen on this Earth". US commanders said the decision would save money and the lives of American servicemen and Japanese soldiers, as well as civilians. To continue the war for weeks or months with conventional bombing and a US land invasion could have caused millions of Japanese deaths. What did Mr Obama say about the bombings? Ahead of his visit to Hiroshima, Mr Obama told the media he would honour all who died in World War II but would not apologise for the bombings. "I think that it's important to recognise that in the midst of war, leaders make all kinds of decisions,'' he said. "It's a job of historians to ask questions and examine them, but I know as somebody who has now sat in this position for the last seven and a half years, that every leader makes very difficult decisions, particularly during war time." It was the clearest comment yet from the Obama administration over an issue that raises hackles in the US and has been the subject of heated debate for decades. But critics have argued that by not apologising, Mr Obama will allow Japan to stick to the narrative that paints it as a victim. What's the sentiment in Japan? Prime Minister Shinzo Abe's government has said future generations should not be burdened by the sins of their forebears. Most Japanese believe the bombings were unjustified. Atomic bomb survivors say an apology from Mr Obama would be welcome but their priority is ridding the world of nuclear arms, a goal that seems as elusive as ever. They hope Mr Obama's visit will breathe life into a stalled process. What's the significance of the visit if there is no apology? Even without an apology, Mr Obama's visit to Hiroshima still carries significant historic symbolism - an acknowledgement of the past tragedy and a commitment to prevent such a calamity from happening again. It would also go some way towards healing the biggest remaining historical wound between the US and the country it now regards as its most important Asian ally.